A classic Prospector is probably the best all-around wilderness tripping canoe ever. Where it really shines is when loaded for week-long trips that combine lakes and mellow rivers. Nova Craft has stayed faithful to the lines of the Chestnut Prospector, the canoe more acclaimed in literature than any other. The hull is a basalt and polypropylene composite. This hydrophobic material is lighter and stiffer than plastic, so it's responsive, efficient, and glides better. It’s also incredibly tough. Bounce it off rocks, and it retains its original shape without breaking. Hull is Tuff Stuff, a composite of melted basalt rock and Innegra polypropylene fibre. Interior is painted sand colour. Gunwales are black anodized, aircraft-grade aluminum, with aluminum-reinforced ABS end decks for minimal maintenance. Seats are ash with nylon lacing. Ash carry handle, thwart, and balanced yoke. 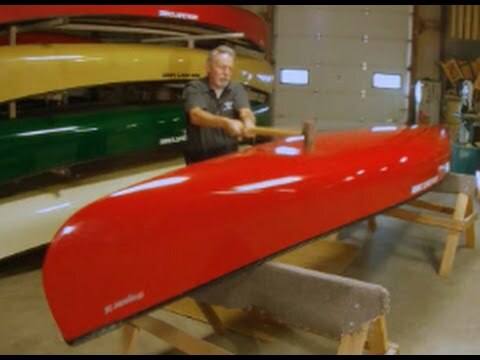 The rocker is the degree of upward curve along the bottom, from one end of the canoe to the other.